Accusing showrunners of killing a strong female character just to further the storyline of a male character she's close to, a group of over 24,000 fans are petitioning AMC to bring Beth Greene back to The Walking Dead. The accusation should sound familiar to comic book fans; award-winning writer Gail Simone, whose Secret Six #1 was released last Wednesday, began her career in comics not as a writer, but as a blogger criticizing that very phenomenon. Founding the website Women in Refrigerators -- a reference to the way Green Lantern's girlfriend was killed in a then-recent story -- Simone called attention to the plight of female characters being treated more as props than as characters. Whether that's a fair assessment of what happened to Beth is up for debate, but one thing is clear: the outcry surrounding the character's death has been pretty loud, and many fans feel she was dismissed, or that her death was needless or anticlimactic. The petition goes on to acknowledge that it would be difficult to bring someone back on a show like The Walking Dead, but also said that on television, "anything is possible." The series has already wrapped principal photography on Season Five, of course, so it's unlikely a petition would be able to sway the present-day storyline. Nevertheless, fans of the character and the actress shouldn't count out the possibility of a flashback-style return, which isn't unprecedented on the series. Here's the text of the petition -- which you can find here -- which also notes that Beth's Season Two suicide attempt and subsequent journey of self-realization made her an inspirational figure to fans who saw her as someone they could relate to. 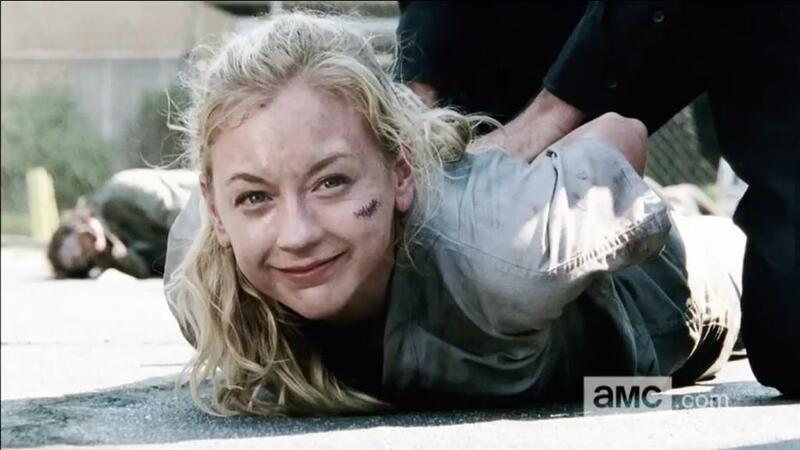 Beth Greene (played by Emily Kinney) was killed off in the mid-season finale in season 5 of The Walking Dead. Her death was far too soon and the writers threw away the potential of a perfectly good character. Her story wasn't over. Emily Kinney and her character don't deserve this. There was so much more to be done with her character and they chose to kill her in a disgusting, unsatifying death that caused more anger and dissapointment than shock and mourning. Beth was a symbol of hope that a lot of women could relate to and see themselves in (especially self-harmers who saw her as someone who overcame their suicidal/depressive feelings). By sloppily killing her it just shows that she was used to further a man's (Daryl's) storyline. We realize that the circumstances she dies in are irreverisble, but this is television. Anything is possible. By signing this petition you can at least show your support for Beth. Let's show Emily Kinney how much we love her and want her back. Emily Kinney's character was not a fan favorite for the first couple of years that she was around, but in Seasons Four and Five, she had gained a staunch following, not least of all because there was a group of "shippers" who hoped to see her end up with Daryl Dixon. When the pair were separated last season, "Where is Beth?" became one of the show's biggest ongoing questions. In fact, the idea that Beth's sister Maggie wasn't more engaged with trying to find her was already a point of contention for some fans. "I think that's always been a thing," protested Steven Yeun -- who plays Beth's brother-in-law, Glenn Rhee, on the series when we asked him about it in October. "I think that's always something that they're thinking about but you look at the circumstances by which they're oppressed and they're always into some s--t, you know? It's not that they're not thinking about that and it's not that they're not addressing that, but it's that they have more pressing problems at that particular time which inhibit them from getting on that mission." Kinney further endeared herself to fans by appearing on Talking Dead last Sunday following her (presumably) final appearance on The Walking Dead, and repeatedly tearing up when talking about her experiences on the show. The actress, whose character was known (and sometimes mocked by fans) for singing to raise the spirits of her fellow survivors, has had over 200,000 views of her most recent music video on its official channel since it went live. The petition is aiming for 25,000 signatures -- less than a thousand away from what they've got now -- so it will likely be presented to AMC soon. Will they get a response? It could be interesting to see.